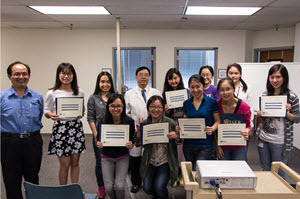 Each year, the University of Pittsburgh School of Medicine host exchange scholars from Tsinghua University in China. 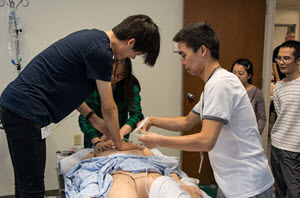 As part of their program at Pitt, WISER conducts simulation based training programs that teach the students skills that can be applied in every day life. 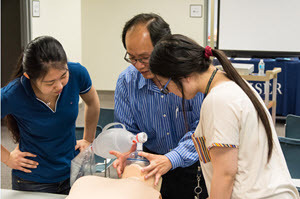 Dr. Li Zhang (Anesthesiologist and WISER Facilitator) and Dr. Min-sin Huang (Surgery and WISER Simulation Fellow) taught over 30 students basic airway management, CPR and initial treatment of a person experiencing a medical crisis. 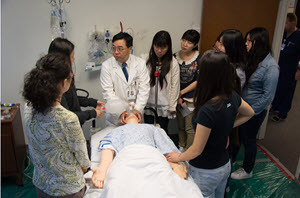 WISER offers this program to Tsinghua Scholars on an annual basis.